both domestic and commercial customers across the Cornwall and West Devon region. 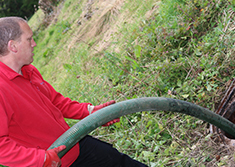 We can empty your tanks to ensure efficient drains, prolong your soakaway and bacteria and gas emissions are contained. We can carry our investigations and surveys on your tank to identify any problems and rectify appropriately. We are a local family run business so we pride ourselves on providing an honest service that you can rely on. South West Tanks is a family run business based in Cornwall and offering services across the region and into West Devon. 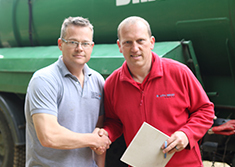 A sister company of a well established drainage company, South West Drains Ltd, South West Tanks was formed following demand in the area for a quality septic tank service. 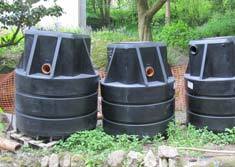 At South West Tanks we aim to promote good environmental practice and are committed to operating our services cost effectively and efficiently. 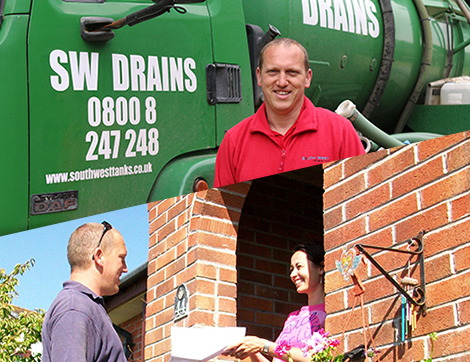 "A sister company of South West Drains- an established, experienced, family run drain company."